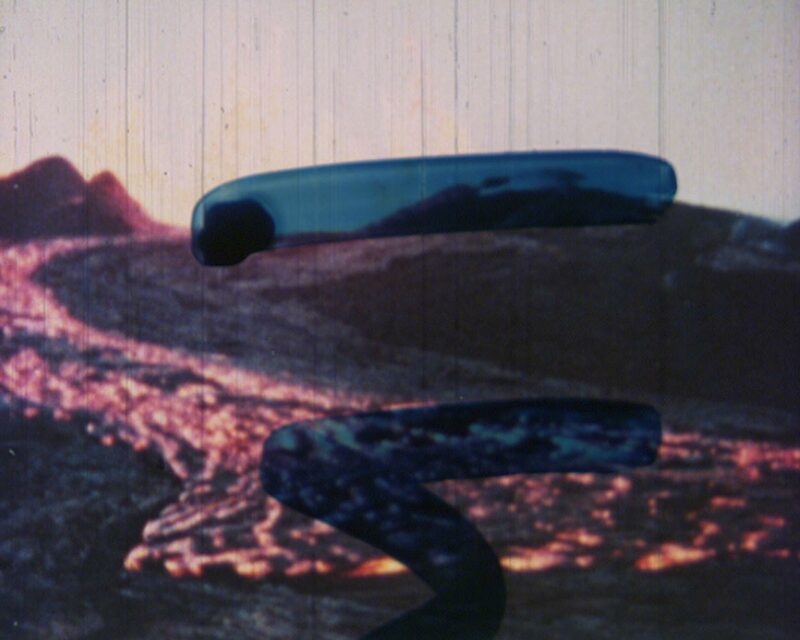 This 16mm film work is made up of fragments of appropriated German educational films about volcanic activity. Once cut together, the length of film was then written on using the text The Memoirs of a Madman by Leo Tolstoy. The text is written longitudinally along the film so to read the text one would have to view the film centimeter by centimeter. When projected, the effect is such that the short piece of writing becomes completely impossible to decipher. Only visible as random and organic forms overlaid on the fragmented moving image.